Backups are essential to anyone working with a computer, and these days, that includes pretty much everyone. 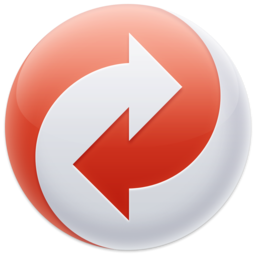 Creating manual backups can be a tedious process, so a handy little utility such as GoodSync goes a long way. The problem with this type of software is that it can get expensive, but GoodSync offers some fair and affordable prices, especially if you come across a valid GoodSync discount code. GoodSync is developed by Siber Systems, a company founded in 1998 and headquartered in Fairfax, Virginia. They’ve come a long way since the release of their debut app RoboForm in 1999, a password manager program acclaimed by millions of users worldwide. The first version of GoodSync was released in 2006 and quickly gained critical acclaim as well, due to its efficiency and user-friendly approach. GoodSync can upload your files to a cloud server of your choice, or you can use offline media such as an external hard drive to create copies of your data. The process is much more streamlined and efficient than if you were doing it manually – as it should be when AI is doing the work for you. A GoodSync coupon is a great way to save money on your purchase. When it comes to redeeming it, a discount code should be entered in the designated field at checkout, and the total order price will be automatically calculated. When it comes to discovering coupons, this year didn’t see a lot of them yet. However, there’s still time, and we should expect some great offers in the future. We’ve also looked for a valid coupon through several third-party websites, but haven’t had much luck in this. In fact, every discount code that we came across was expired. For example, we noticed a GoodSync2go discount code that supposedly gives a 33% discount. When we applied the coupon to our order, however, there were no changes in the total order amount. What you should do, however, is follow GoodSync’s social media profiles which can be found on GoodSync’s website. Some unique discount code offers sometimes pop up there. The GoodSync Twitter feed, for example, there was a GoodSync discount for RoboForm users that granted $10 off on a license for existing RoboForm users. Even though you’ll rarely find a coupon code for shopping this software, there are some saving possibilities choosing between going it safe and backing up your data. If you do not believe in the power of GoodSync, they’ve done their best to convince you. Namely, each customer is entitled to a free 30-day trial period. If you’re a user with three or fewer jobs with 100 or fewer files per job, GoodSync will remain free for you forever relieving you from the need to look for a discount code for GoodSync. If the free version isn’t enough for you and you decide to opt for the pro variant, you’ll have a hard time finding a GoodSync discount code. However, you’ll be able to save 25% percent after a year of using their services. Namely, the second subscription at GoodSync will be 25% cheaper. A good backup utility isn’t always that easy to find. When it comes to your data, you need something that is stable, reliable, easy to use, and preferably not too expensive. Overall, GoodSync is a good choice even though it can be a bit of a challenge to get your hands on a GoodSync discount code. There are other occasional deals on their website that you can take advantage of, so you can get a good price as long as you time it right. Backups are the only way to ensure that you don’t lose valuable data, and anyone that’s ever experienced that knows exactly what kind of nightmare it can be. So be smart and back your stuff up!